Check out our events and programs calendar on the left, follow us on Twitter, like us on Facebook, and become a member to stay up with our events. 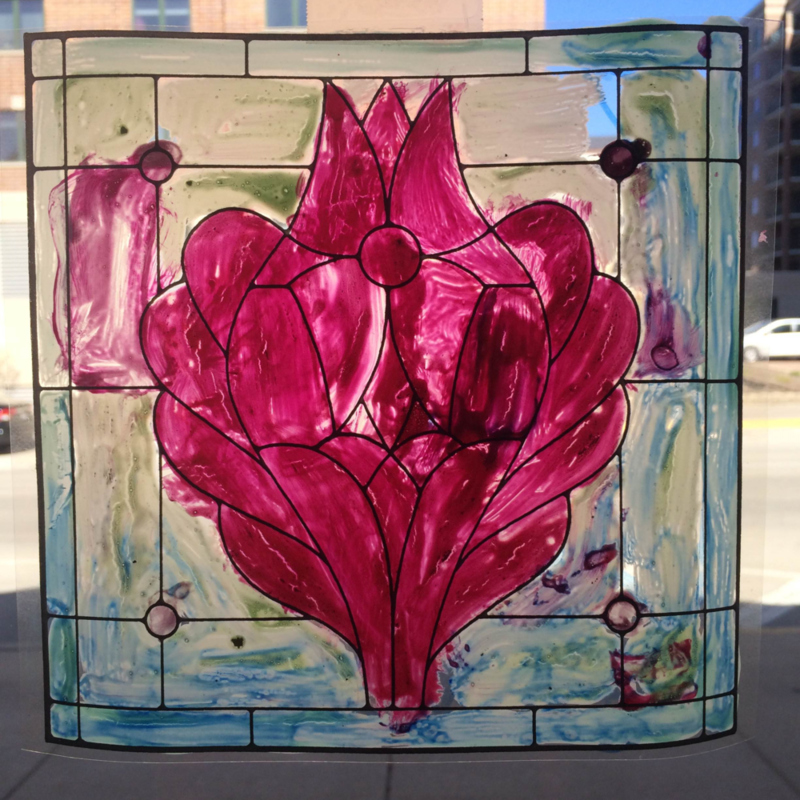 The Des Plaines History center offers events and programming for people of all ages throughout the year. Here is a sample of the regular programs we put on. Teachers and group leaders, check out our Traveling Trunks and Group Programs pages. History Center staff have several On-call Presentations prepared for groups of all ages. These are available to schedule for daytime, evening, or weekends. Click here to see a list of available programs. Contact museum staff to schedule a program. Traveling Trunks are for use in classroom or group education settings. 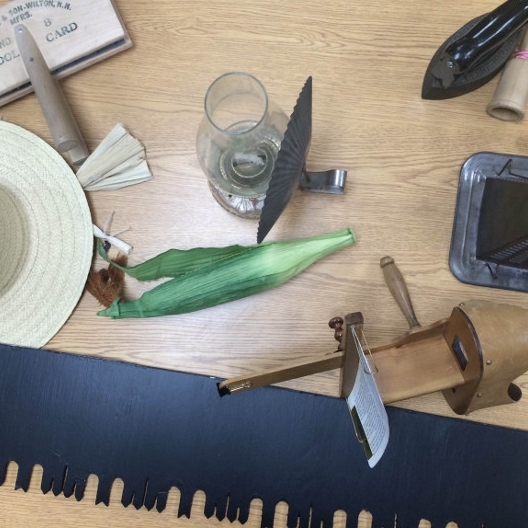 They contain historic or reproduction artifacts and images that enhance learning. Trunks include interpretive guides on presenting history to young people as well as information on how the programs can fit into curricula. Trunks must be rented by contacting History Center staff. Click here for a list of our Traveling Trunks. Afternoon Adventures are held weekly during summer break on Wednesday afternoons. After School Adventures offer children fun and educational activities from 3:30-5 p.m. once a month on a Tuesday. Come join us! 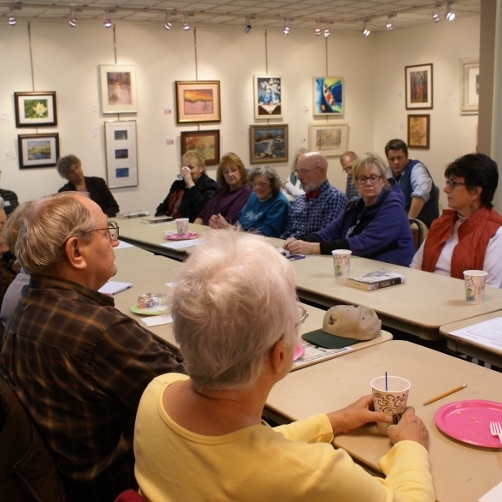 Coffee Talks are presentations or lectures given by local historians on topics relating to the history of Des Plaines, Chicago, or any exhibits on display at the History Center. These are held on a rotating schedule with the Collectors Evening programs. Check the calendar to see upcoming Coffee Talks. Homeschool Adventures are designed to bring our classroom programs to groups of homeschoolers in and around Des Plaines. History Book Discussion group meets on the third Wednesday evening of each odd-numbered month at the museum. Topics range in time and space, but are always thoughtful interpretations of the past that lead to lively discussion. Books are chosen two months in advance and available from our partners at the Des Plaines Public Library. Our Quilting Group meets monthly on a Thursday morning to work on sewing projects. Estamos trabajando para presentar programas en español en el futuro.